Prince George's County police are looking for the vehicle that struck a woman along Route 210 in Oxon Hill Thursday morning. Police say the woman was in the roadway when she was struck at about 3 a.m.
Police did not release a description of the striking vehicle. 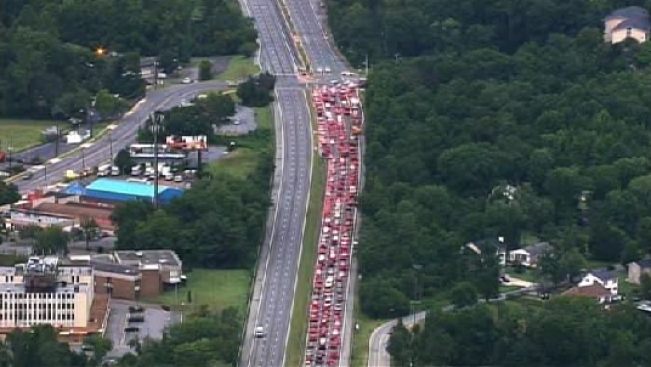 The northbound lanes of MD-210 were closed for several hours after the crash. The road reopened at 7 a.m.